ONLINE EXCLUSIVE! The Mi-Pod Starter Kit has a surprisingly long battery life for its ultra-compact size. Easy to use, and ultra-portable, the Mi-Pod comes with the option of refillable cartridges, making them more economical than other pod brands. The first thing you notice about the Mi-Pod is its tiny size, which slots neatly into the top of your hand. It’s a dinky little thing that features a patented oil and air separated system to help prevent leaking. Also, its rainbow finish and curling Elvish script (which apparently reads “one vape to rule them all”!) makes it look great! The Mi-Pod’s ease of use means this is a great choice for new vapers, while its tiny size makes it ideal for vapers who want a device they can fit into a pocket or use for discrete vaping. Despite its tiny size, it also produces a seriously good vape - you may not get tonnes of vapour, but you will get a great hit! Smoking Vapour’s OIS consists of two slots that sit right above the cotton. The name is a slight misnomer, as there is no oil in e-liquid. Smoking Vapour have been a little coy when talking about it, but did tell us that one slot allows for air intake while the other prevents back pressure, which avoids air being mixed with the e-liquid. The Mi-Pod comes with two refillable pods. Simply fill these with the e-liquids of your choice, and allow them to sit for a few minutes before using. Then slot them into the Mi-Pod, lining up the contacts on the pods with the contacts on the device. Press the button five times in a row to turn the device on (or off). Inhale on the device - as it’s automatic, the device will fire up as soon as you inhale. For more information check out the video below! 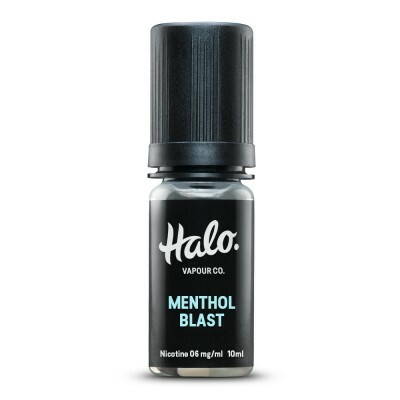 Higher strength e-liquids with a higher PG ratio such as Halo E-Liquid. Inside your cartridge you will have a coil, which is the part which heats up the e-liquid. Coils don’t last forever, but to maximise the life of your coil allow the e-liquid to soak into your coil before using it. This will ensure the coil doesn’t burn out. We recommend allowing the coil to soak for 10 minutes.